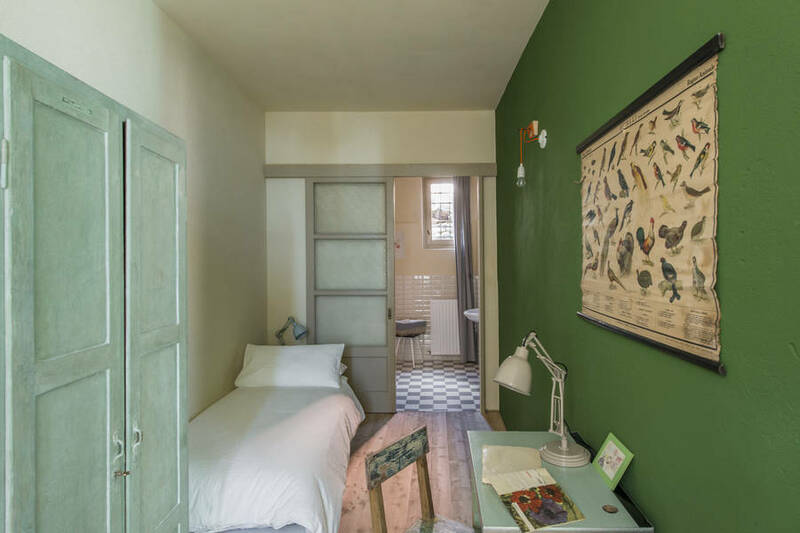 What happens when you take an early 20th century edifice which, until the 1960's, was used as a school, and you transform it into a B&B? 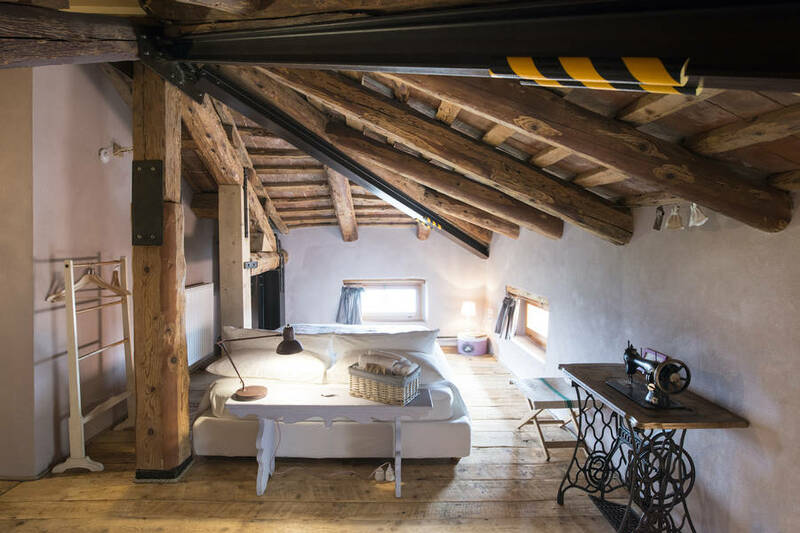 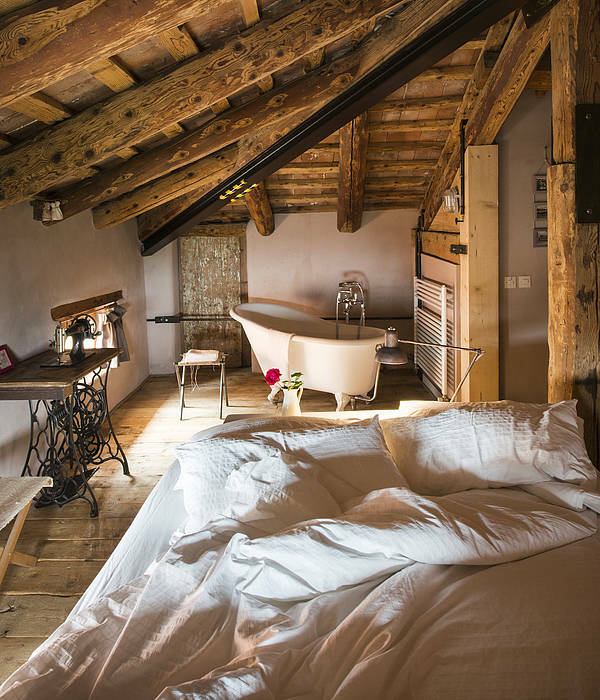 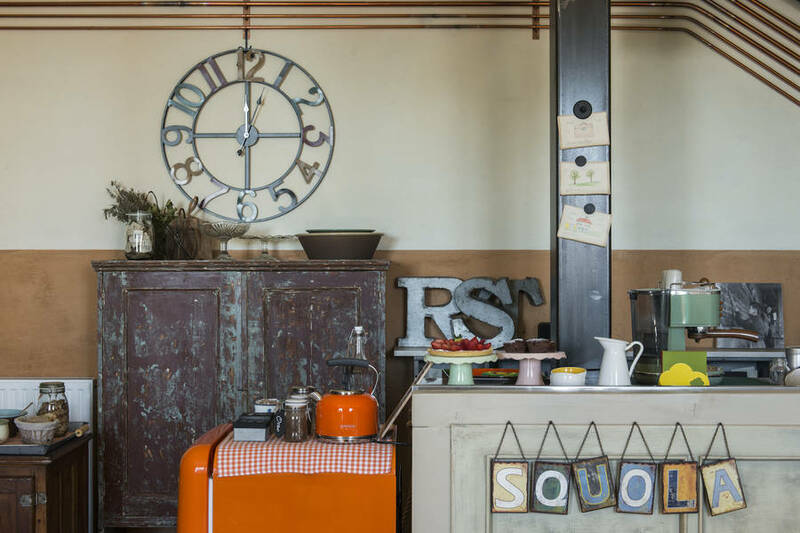 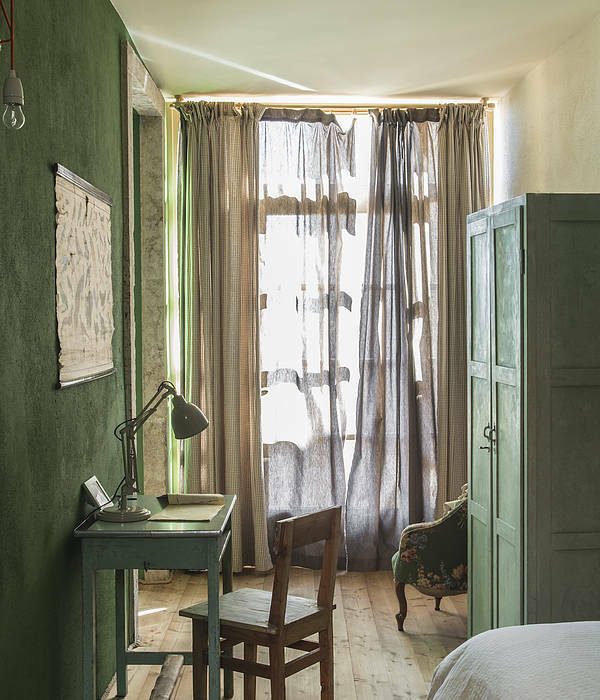 If you're lucky, you'll get somewhere like Lusiana's Bed and Brunch La Scuola - a tiny theme hotel on the high plain of Asiago! 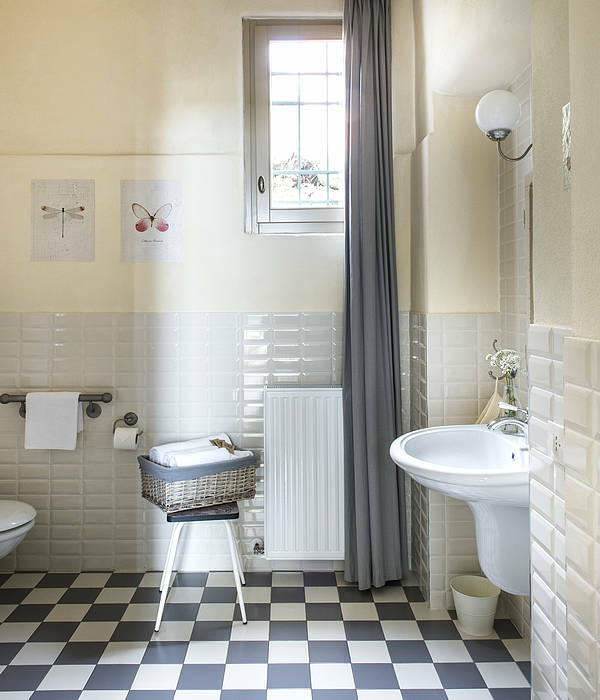 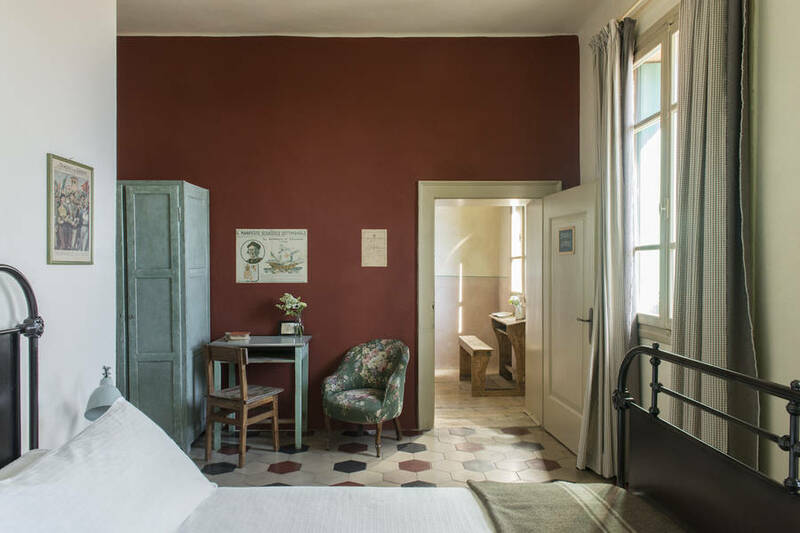 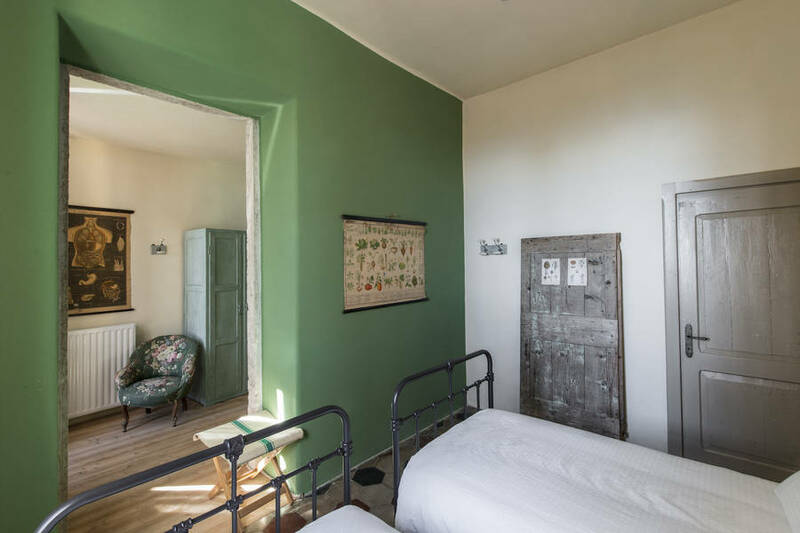 The architectural features, colors and even some of the furniture in this unique B&B are just like those you might find in an Italian primary school, in the heart of the Venetian countryside. 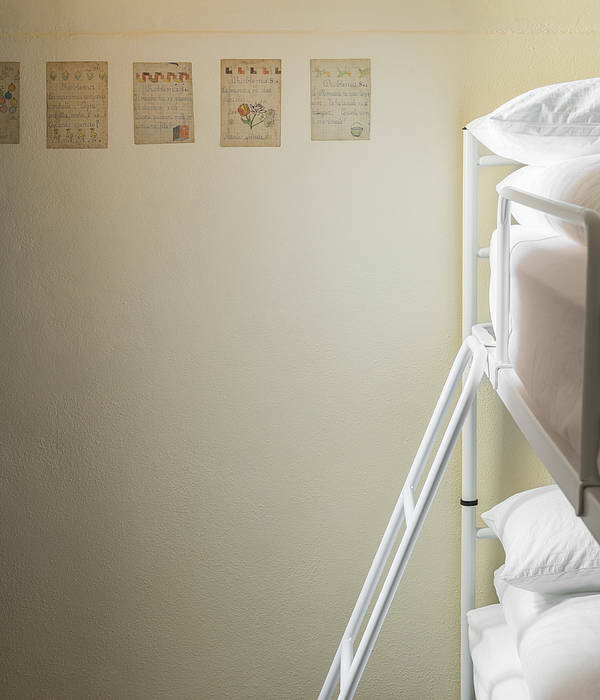 Thinking of playing truant already? 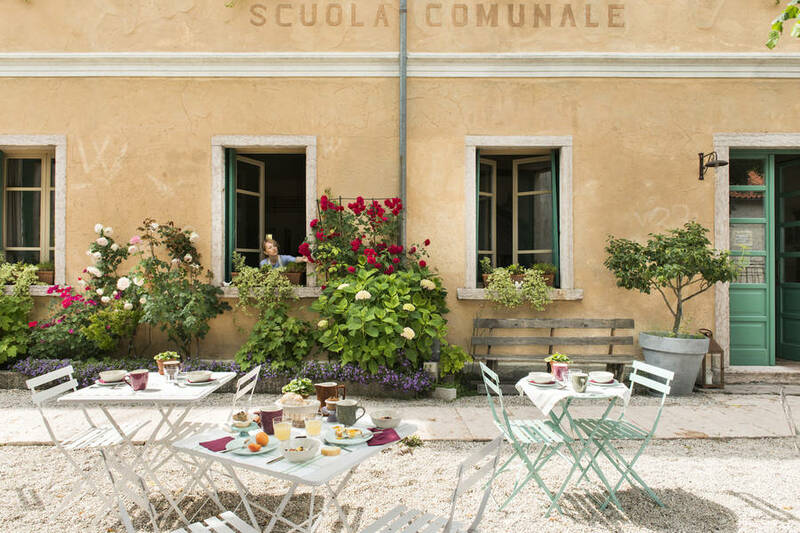 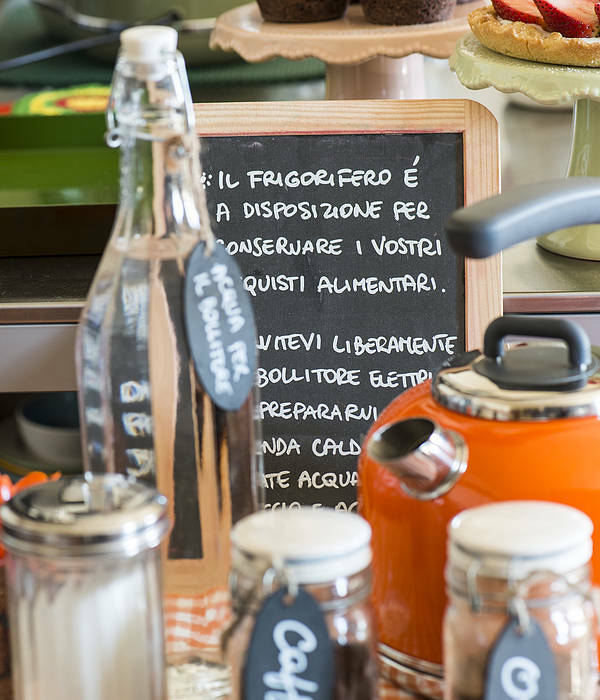 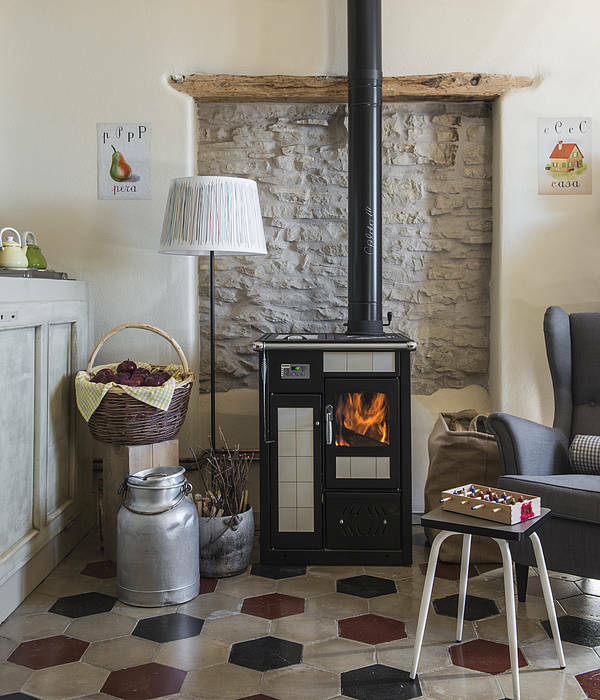 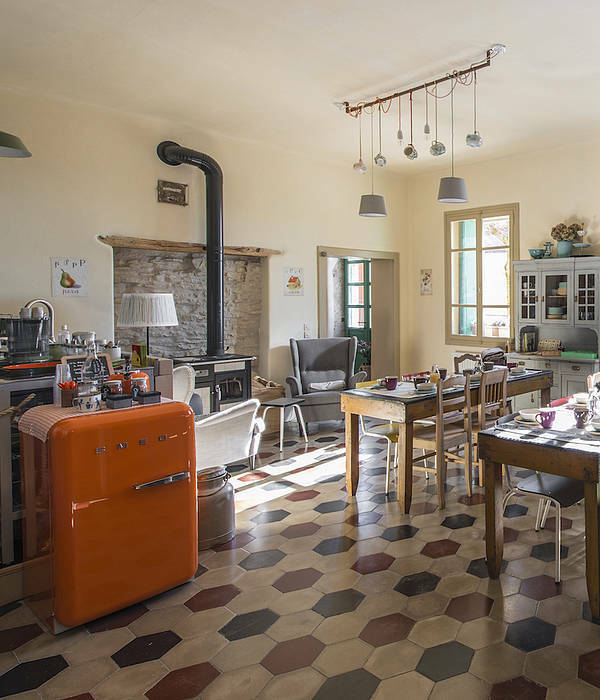 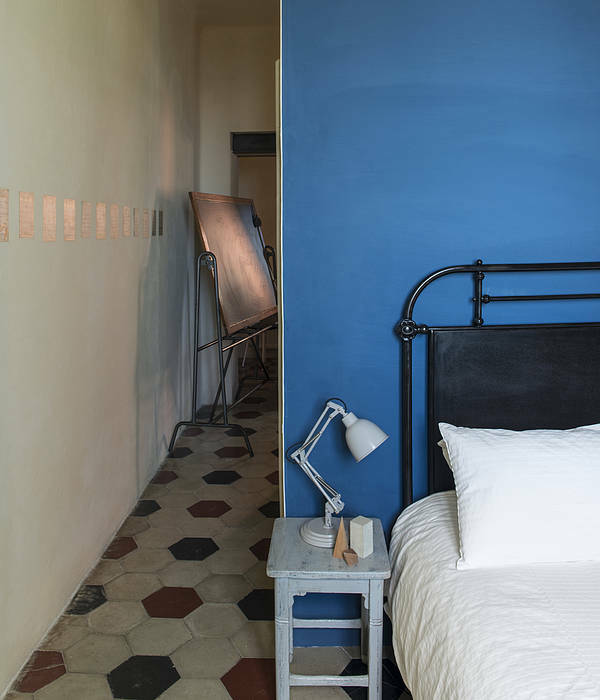 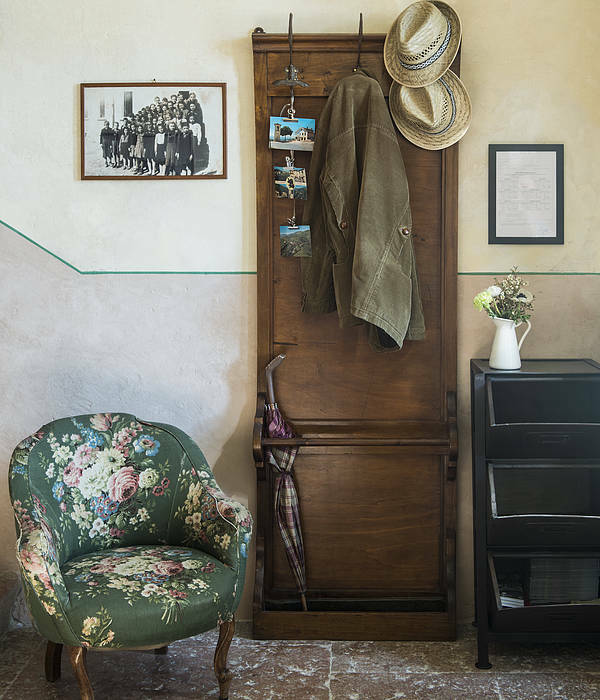 Don't worry, despite the school-theme, above all Locanda La Scuola is a B&B: a welcoming B&B in which to relish the slow, relaxing rhythms of life in the sleepy little town of Lusiana. 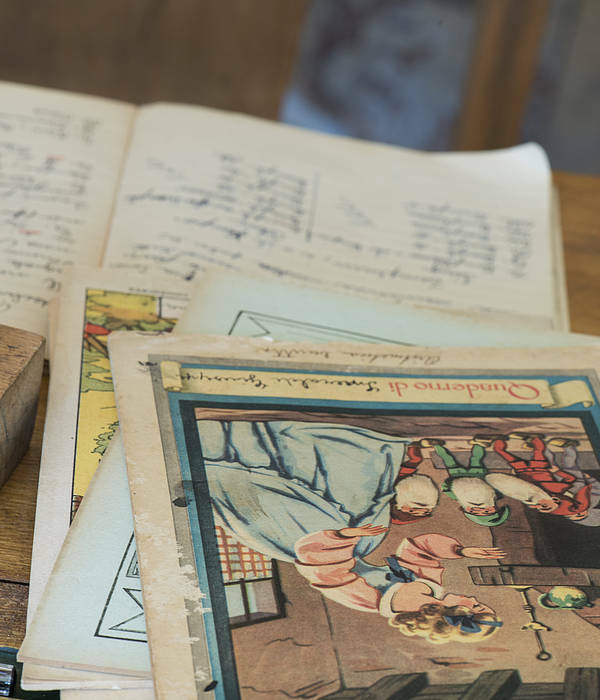 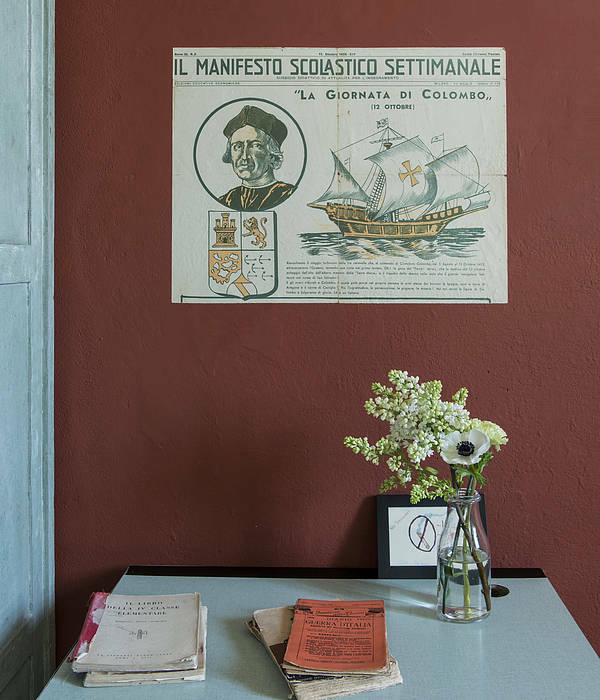 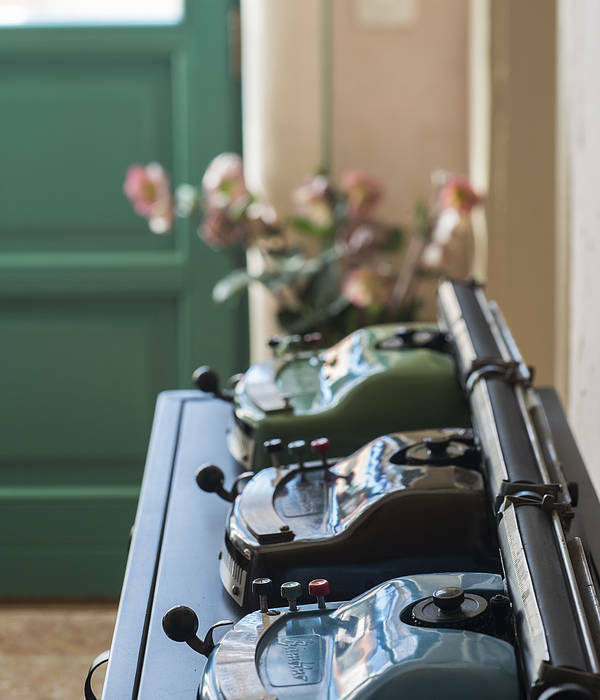 Geography, history, science, maths: rooms in Locanda La Scuola are named after the subjects once taught to the pupils who attended this little country school. 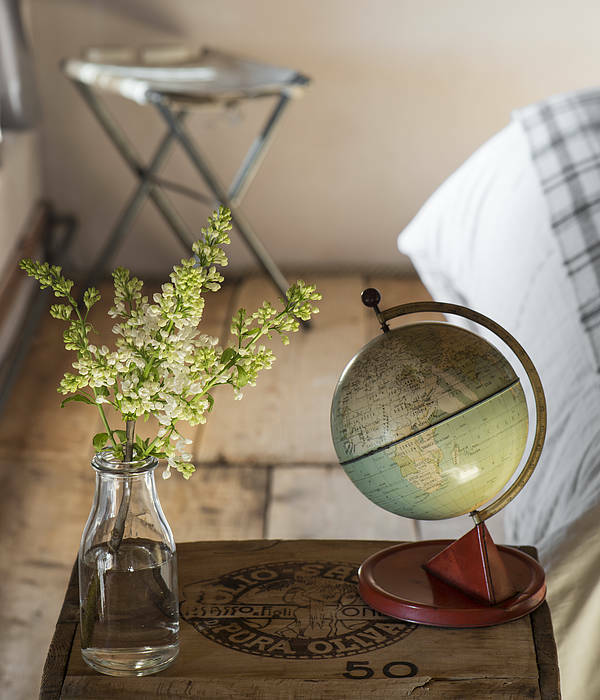 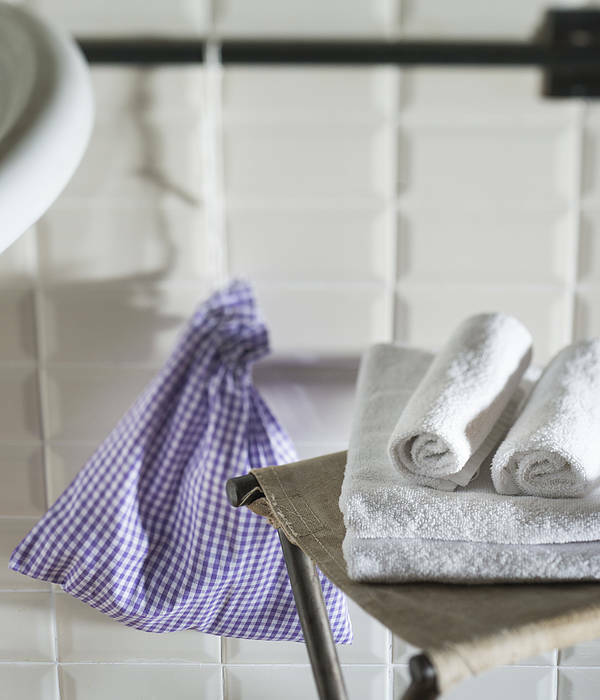 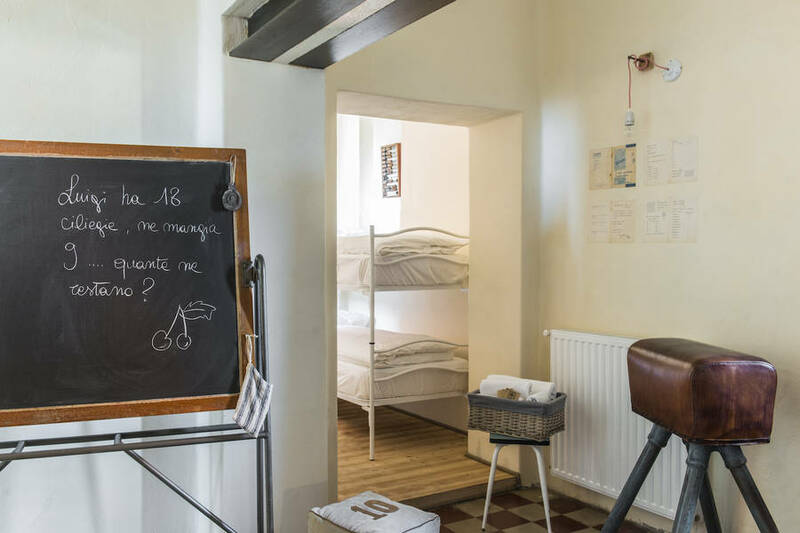 Whichever room you choose, you can expect to find lovingly-restored pavements, exposed wooden beams, antiques and a full range of modern amenities too! 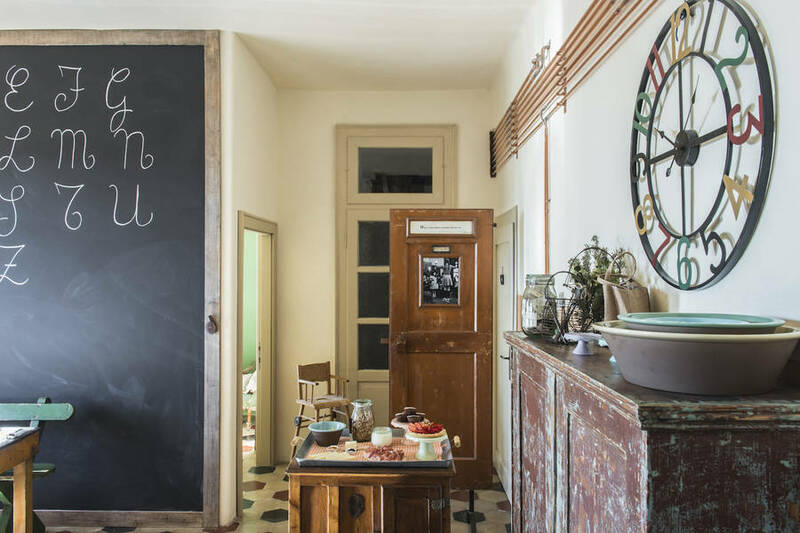 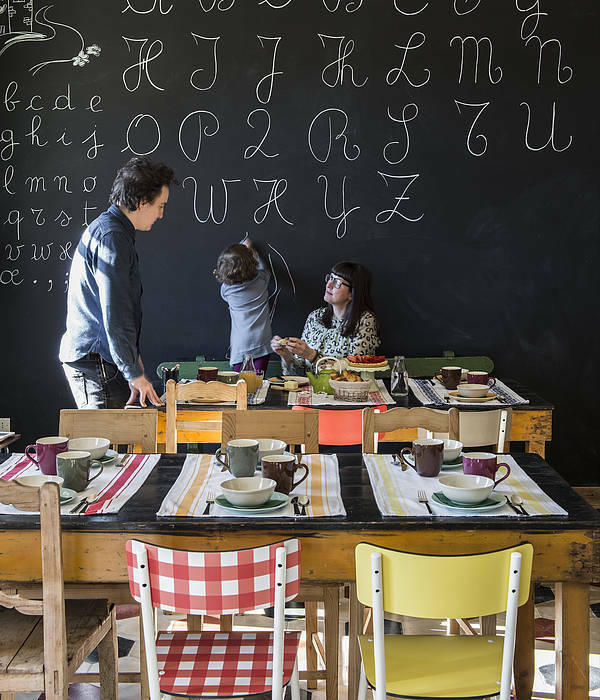 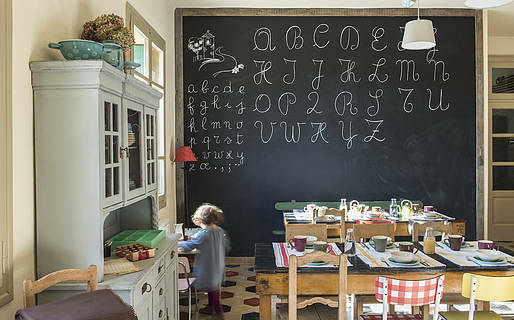 Blackboards, maps, shelves filled with books: if your school days were the best days of your life, you're going to love this miniature theme hotel! 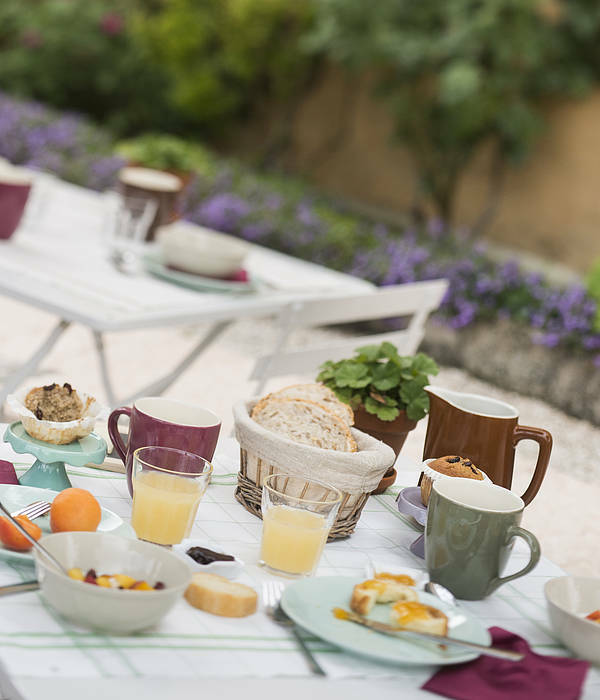 A generous breakfast of homemade cakes and typical local products is served until late in the Alphabet room or, in warm weather, in the court yard, in the shade of the lime trees. 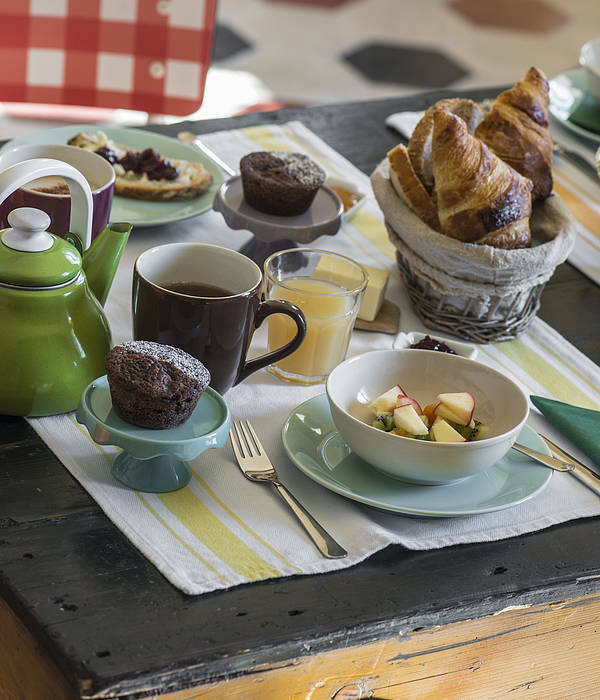 On request, the owners will prepare picnic baskets, afternoon tea, and even organize art or cooking lessons. 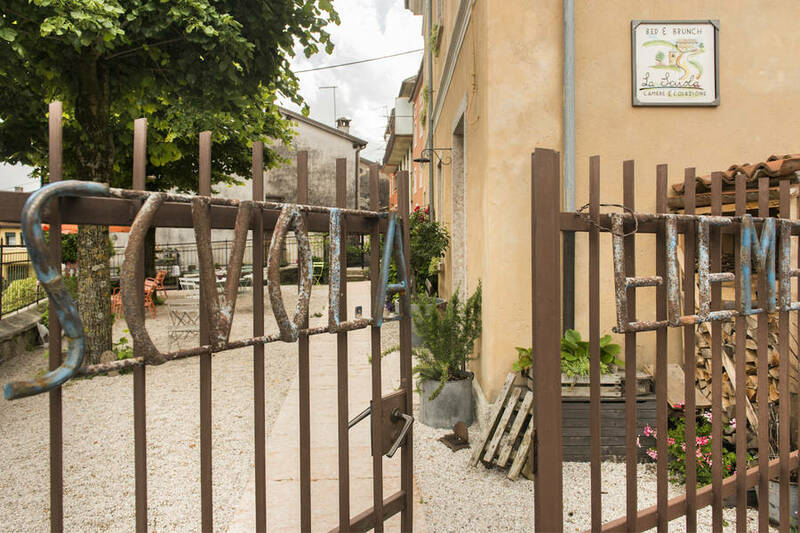 In the pretty little town of Lusiana, B&B Locanda La Scuola is a great choice for those keen to explore the high plain of Asiago and the rest of Italy's Veneto region. 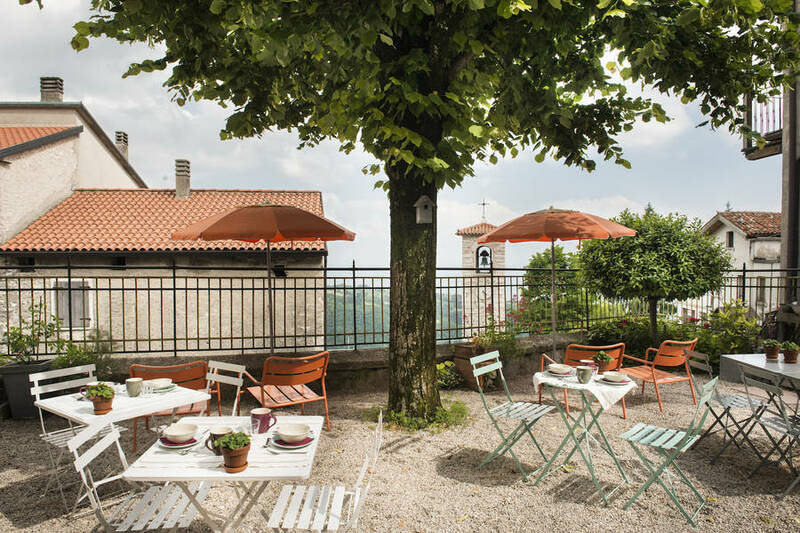 Asiago, Marostica and Bassano del Grappa, all lie within easy driving distance. 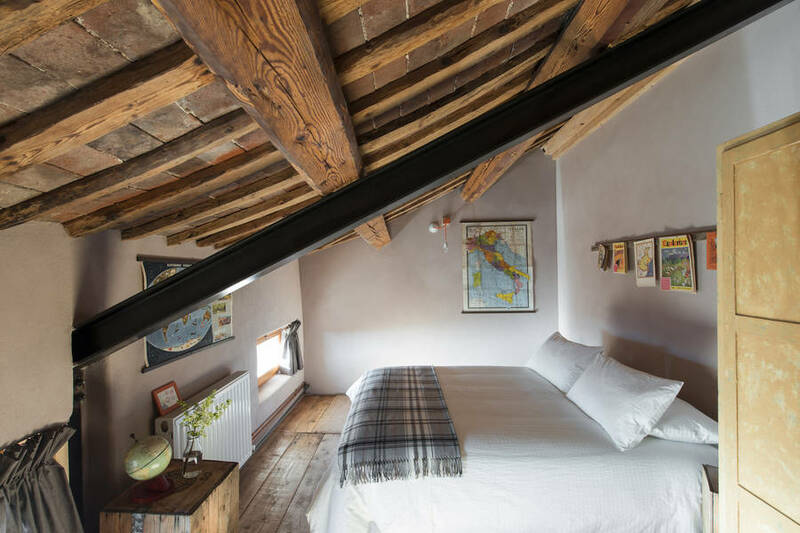 Ideas for a day trip? 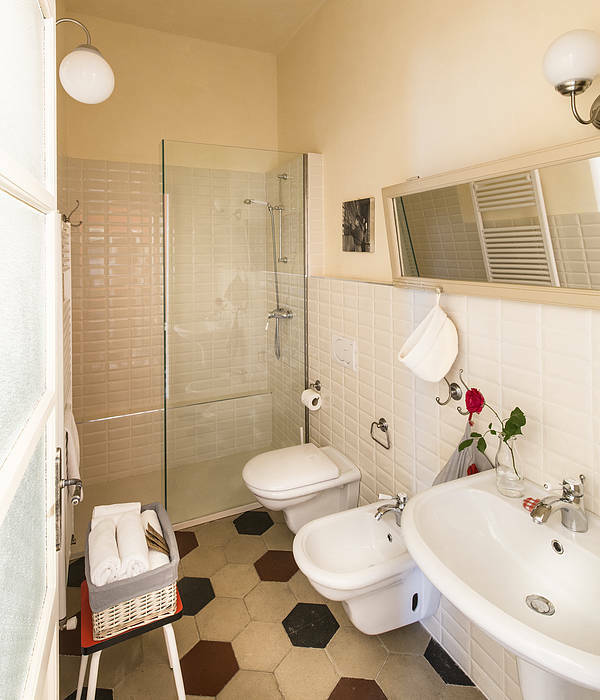 It will take you no more than an hour and a half to reach the great art cities of Venice, Padua and Verona.